Custom homes that create your ultimate living experience. 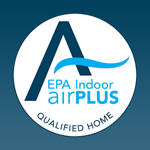 ONLY St. Louis Custom Home Builder Committed to 100% ENERGY STAR Homes. Featured home and article in St. Louis Homes Magazine. Building Sustainable Luxury for over a decade! R.E.A. Homes has built some of St. Louis’ finest luxury custom homes. Check out some of our best work with our interior and exterior galleries. R.E.A. 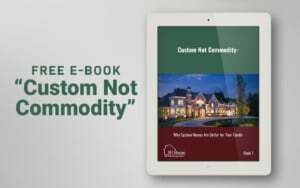 Homes’ two part E-book Custom Not Commodity: Why Custom Homes Are Better for Your Family explores the benefits custom homes provide for your family. Not all homebuilders are created equal. We build custom luxury homes that are more efficient, more comfortable and healthier for the whole family. We go above and beyond the average builder. Find out how by signing up below. Follow us on Facebook to see our latest projects and a look behind the scenes of the home building process. Luxury goes beyond fancy cabinetry, granite countertops and elaborate millwork. Jeff Bogard is a fully credentialed LEED Green Associate and Master Certified Green Professional with a passion for building beyond the code. He and his team create High Performance Luxury Homes℠ that focus on energy efficiency, comfort, and true luxury. Not all home builders are created equal. R.E.A. Homes builds beyond the code. Sign up below to find out how!